Happy Thanksgiving, everyone. Wishing you a peaceful day with family, friends, and good food and cheer. Our Black Friday sale has begun, a day early. 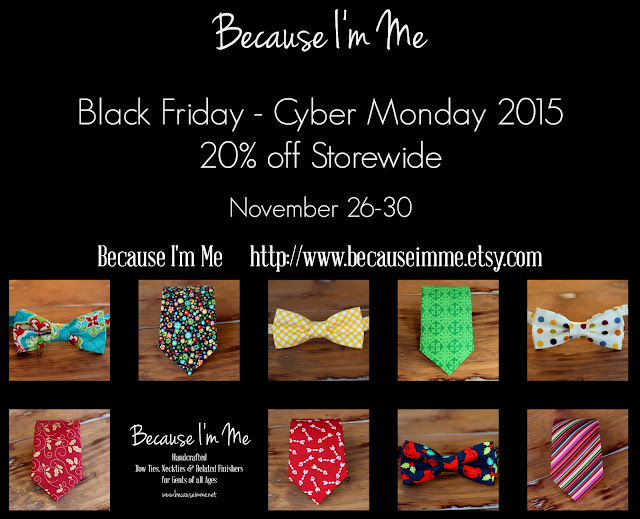 Save 20% storewide at Because I'm Me through Monday.